Darel is a narrow valley nestled amid high mountains. It has all the charm and beauty of a hill resort — snow-capped peaks in winters and lush green meadows, irrigated by a sparkling river rushing through them, in summers. And it is not some remote place lying undiscovered in its charming isolation. 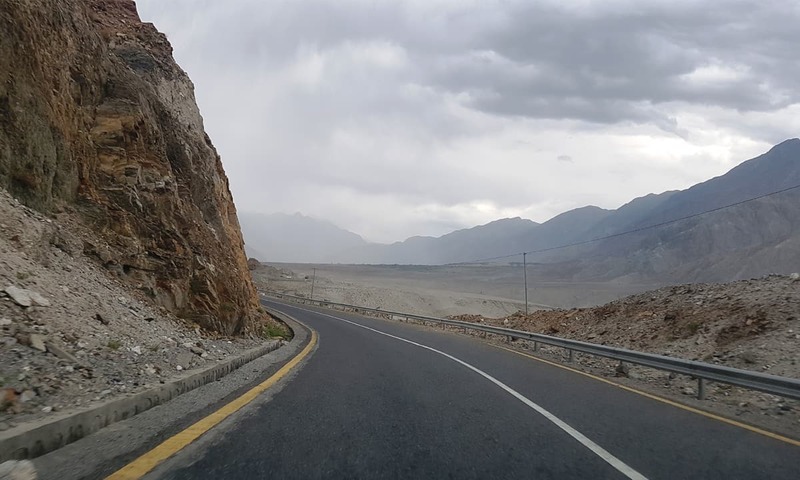 Its southern entry point is located on a major national highway, N-35, that connects Khyber Pakhtunkhwa’s Kohistan district with Diamer district in Gilgit-Baltistan. Darel made headlines a few weeks ago — not as an inviting but unspoiled venue for summer vacations, but as a hotbed of extremism. 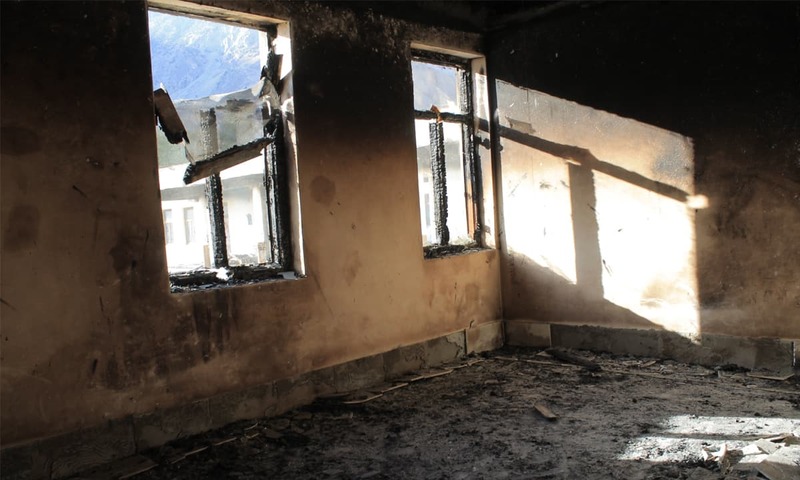 In early August, unidentified men burnt down 14 schools in various parts of Darel, its neighbouring valley called Tangir, as well as Chilas, the headquarters of Diamer district. Many of these were educational institutions for girls. Some were built only recently and were awaiting their first students to enroll. Asal Dad saw how the attackers went about the task. He was on his watchman’s duty at the newly built Army Public School for boys in Darel at 1:00 in the night on August 2 when 50 or so masked men armed with AK-47 assault rifles and handguns barged in. They pushed him into a room where two of them kept guard on him. Others spread over different parts of the building. They left after an hour and disappeared in the darkness. Soon afterwards, Asal Dad saw flames rising from one part of the school premises. He immediately phoned the contractor assigned to build the school. He lived close by and came over quickly. Together they went to a police station to report the incident. “The police came the next day,” says Asal Dad, who seems to be in his late twenties. The building was destroyed by then. 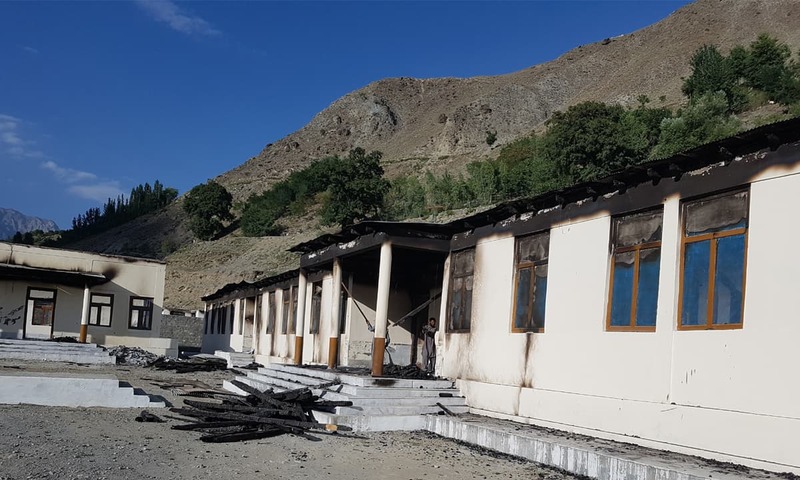 Almost all other schools attacked in the region were similarly damaged extensively — except one in Tangir where a watchman opened fire at the assailants who ran away after having smashed some doors and windows. For Malik Shifayat-ur-Rahman, a young tribal chieftain in Tangir, there is nothing unusual about attacks on schools, no matter how dastardly they appear to the rest of Pakistan. 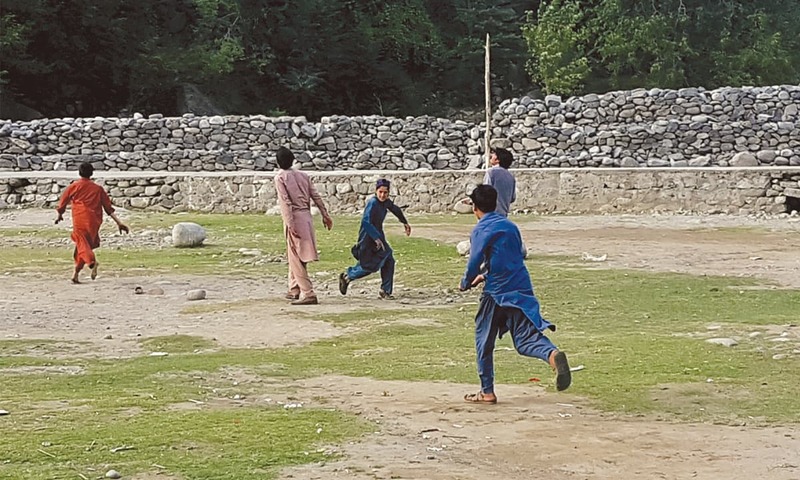 Opposition to school education is, indeed, an old phenomenon in Diamer district where literacy rate among boys (aged between 10 and 15 years) remains just 46 per cent, lowest in the whole of Gilgit-Baltistan which has an overall literacy rate of 66 per cent among boys in the same age group. Literacy rate in Diamer among girls (aged between 10 and 15 years) is even lower, a paltry 12 per cent, which compares very poorly with a 42 per cent overall literacy rate among girls in the same age group in the entire Gilgit-Baltistan. Diamer is the gateway between Gilgit-Baltistan and the rest of Pakistan, he explains, so the simultaneous attacks on so many schools could have been caused by national factors as much as by local ones. These factors, according to him, could be connected to the China-Pakistan Economic Corridor (CPEC) which links the two countries through Gilgit-Baltistan. Or, he says, these could be linked to the Diamer-Bhasha Dam being planned on the border between Diamer and Kohistan. Arif Hussain, a constable in Tangir police, came from a known local family. Along with some of his colleagues, he was conducting a search operation in the valley’s Rim village on August 4, two days after the schools were put to fire, when he knocked at the door of one Shafiqur Rahman. “Who is at the door?” asked Shafiqur Rahman from inside the house. Arif Hussain identified himself and said he and other policemen with him wanted to search the house. Shafiqur Rahman requested them to give him some time so that he could get the women in his family out of their way. A few minutes later, he opened fire which killed Arif Hussain and injured another policeman. Shafiqur Rahman, around 30 years of age at the time, was no ordinary criminal. The name of his father, Maulvi Shahzada Khan, appears frequently among patrons and perpetrators of religious extremism and terrorist violence in and around Tangir. Immediately after firing upon the police, Shafiqur Rahman left his house to hide somewhere else. When Kamran Amir, an assistant superintendent of police in Tangir, heard about the whole incident, he vowed to avenge it before the slain policeman’s burial next day. Arif Hussain’s tribe also vowed to support the police in this endeavour. By 4:00 in the morning on August 5, Shafiqur Rahman was gunned down just as he was trying to flee through the mountains. The reaction to his killing was strong — more so than the police had anticipated. 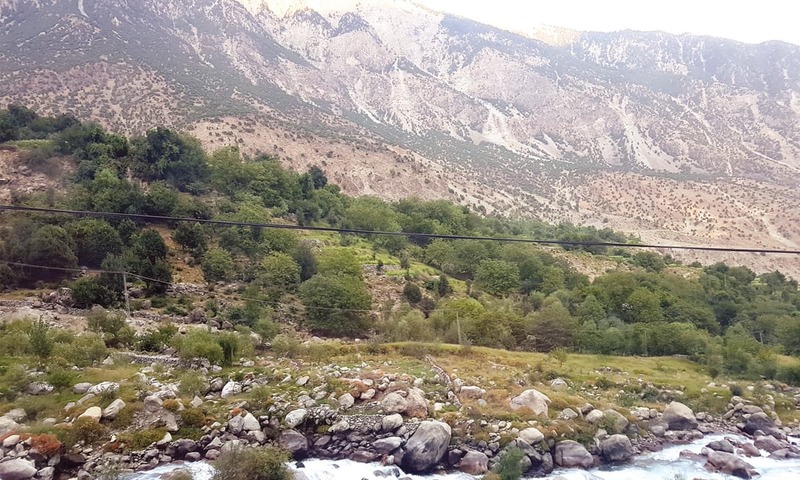 About 70 armed men took positions on both sides of the mountains next to a bridge that links Tangir valley with Kohistan district — thus blocking a major land route between Khyber Pakhtunkhwa and Gilgit-Baltistan. “They did not allow any government official, including those from the police, to enter Tangir valley for 11 days,” says Shifayat-ur-Rahman. The blockade came to an end only after local tribal chiefs intervened. In another retaliatory move, armed men attacked a police post in Kargah valley in Gilgit district on August 11. They killed three policemen and injured another two. The police returned fire and killed an assailant, Khalilur Rahman. In his mid-forties at the time, Khalilur Rahman was a known terrorist from Darel. The government had announced a reward of three million rupees for his arrest — dead or alive. Khan Sangeen* is reclining on a charpoy inside his hujra – a public reception room – on an early September afternoon. With his hands clasped at the back of his head, he has an air of authority about him. Around eight other people are also present in the room — including Sirajul Haq, a lanky teenager. A student at a madrasa established by a conservative mullah, Maulvi Mehtar Jan, Haq is among dozens of people suspected by the police for involvement in torching schools. Wearing a white skull cap, he has come here along with his father’s cousin in order to hand himself over into police custody through Sangeen who phones some police officials and asks them to come over to arrest Sirajul Haq. A policeman arrives within an hour. He is in civilian clothes and is carrying an AK-47 rifle. He takes the young man with him. As a tribal chieftain in Tangir valley, Sangeen is a member of a tribal assembly, or jirga, that, after the killing of Shafiqur Rahman, has stopped law enforcement officials from conducting search operations to arrest those suspected of involvement in attacks on schools. The police, instead, have provided the jirga with a list of suspects who are told by their respective tribal chieftains to surrender and face questioning by a joint investigation team of officials from intelligence and security agencies. By the second week of September, 68 suspects have been arrested and interrogated this way. Many of them have already come back home after getting a clean chit. The suspects have been named on the basis of an intelligence report that says they were inspired by Maulvi Raj Dar, a leading religious personality in Tangir and a regular campaigner against education for girls. In one of his recent sermons, the report reads, Raj Dar told his audience that literacy among girls promoted vulgarity and that they needed to wage ‘jihad’ against schools for girls. He is also reported to have distributed 5,000 rupees each among a dozen boys of Tangir, all aged between 17 and 20, as an advance payment for attacking girls schools. A few weeks later, the intelligence report claims, he gave another 1,500 rupees to each of them for the same purpose. Raj Dar happens to be married to Shahzada Khan’s daughter. Shafiqur Rahman, thus, was his brother-in-law. 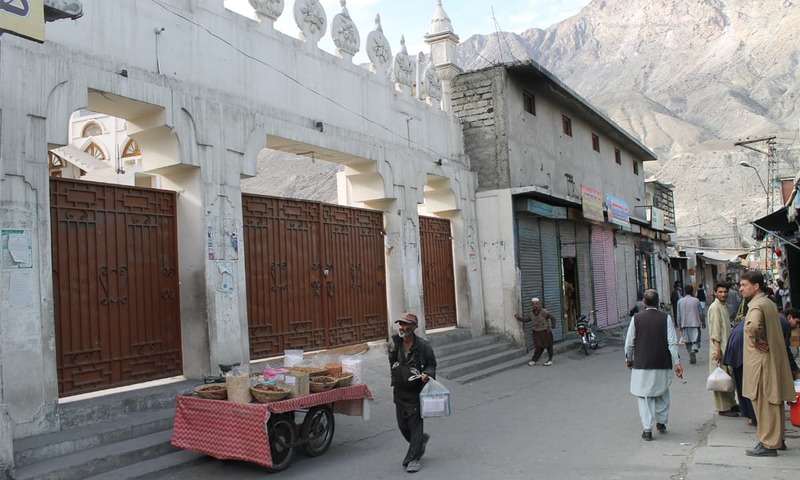 A former chief engineer of Gilgit-Baltistan, Karamat Ullah, 77, remembers how in his childhood people from his native Chilas would visit Sufi shrines regularly. Some of them would go as far as Buner district on foot to the mausoleum of a 15th century saint, Syed Ali Tirmizi, lovingly called Pir Baba. They would also have elaborate weddings, complete with music and other gaudy ceremonies. Over the last 60 or so years, religious beliefs and practices among the people in Chilas and its adjoining valleys have undergone a thorough change. This has resulted from constant preaching by such religious personalities as Sheikh Ghulamun Naseer, also known as Baba Chilasi, against traditional beliefs and practices that these preachers see as un-Islamic bid’ats (innovations). Chilasi studied religious texts at various madrasas in Battagram and Kohistan areas of Khyber Pakhtunkhwa under scholars trained by a madrasa in Deoband town which is now in the Indian state of Uttar Pradesh. He came back to Chilas in the 1950s, authored a number of books in Urdu, Arabic, Pashto and Persian, and persuaded people against bid’ats including pilgrimage to Sufi shrines, playing music and indulging in ostentation at weddings. “I worked against music and opposed the worshipping of graves [of Sufis],” says Chilasi, 81, with more than a hint of pride at having done that successfully. He writes books both in prose and poetry and generously gives away his works to whoever visits him. Dressed in a navy blue shalwar kameez, with a white chador folded across his knees, he speaks incessantly on a recent day, without listening to others. Chilasi maintained close contact with religious preachers in Darel and Tangir valleys before he shifted to Jhangi Syedan area in Khyber Pakhtunkhwa’s Abbottabad district in the mid-1980s. Many other men of religion in Diamer are intellectual descendants of a generation of local preachers that trained in the 1960s-70s in Rawalpindi at a madrasa set up by a staunch anti-Shia mullah, Ghulamullah Khan. When they came back to their native valleys, they spoke against visiting shrines and indulging in worldly pleasures such as dance and song. Their calls were well-received in Darel, Tangir and Chilas city. Tahir also set up a religious organisation, Ishat-ut-Tauheed-was-Sunnah. It propagated an extreme version of Hanafi Islam — advocating social conservatism, opposing religious practices prevalent among traditionalist Muslims, including Shias, and working for the creation of an Islamic state and society in Pakistan. Shahzada Khan and Mehtar Jan set up a local branch of the organisation in Diamer. The former – whose forefathers had come to Tangir from Kolai-Palas area of Kohistan district – also set up a training camp in his village of Rim to train religious fighters for an anti-Russia war of resistance in Afghanistan. The latter established a madrasa in Tangir, mainly to prepare recruits for Shahzada Khan’s training camp. At one stage during the 1980s, the camp had as many as 500 trainees. The training camp thrived for close to two decades before it was shut down in the early 2000s. Haji Ameer Jan, who is also a former member of the Gilgit-Baltistan Legislative Assembly, is privy to the developments that led to the camp’s closure. After the 9/11 attacks in the United States and a militant attack on the Indian parliament in December 2001, he says, the government of General Pervez Musharraf came under intense pressure from the United States and other western countries to curb the presence of militant training camps in Pakistan. Musharraf called a meeting of around 60 people belonging to Gilgit-Baltistan and Azad Kashmir at the Prime Minister House in Islamabad. Haji Ameer Jan was one of them. Musharraf conveyed to the participants of the meeting in no uncertain terms that his government would not support the presence of militant training camps any longer. The one run in Tangir by Shahzada Khan was bombed out of existence. Abdul Wakeel, a middle-aged tribesman from Chilas, was travelling to Gilgit city on a van along with his 12-year-old son in January 2012. When they reached Nagaral, a Shia-dominated area in the city, some armed men signalled the van to stop and forced Wakeel and his son to get down. After checking his identity card to ensure that he came from Chilas, they gunned him down in front of his son. The murder generated strong resentment in Chilas where tribesmen blocked the Karakoram Highway for four days in protest. Some unidentified men also avenged the killing by murdering 18 Shias at Harban area of Kohistan district on February 28 that year, after forcing them to get down from a bus travelling from Rawalpindi to Gilgit. Officials believe the attackers came from Tangir and Darel valleys. A first information report registered by the police named six suspects, including Mehtar Jan. He never surrendered to the law enforcement authorities and died of natural causes in 2013. A few weeks after the Kohistan killings, Sunni activists took out a protest demonstration in Gilgit to press the government for the release of Ataullah Saqib who headed an anti-Shia organisation, Ahl-e-Sunnat Wal Jamaat, in Gilgit-Baltistan. The procession came under a grenade attack when it reached a road crossing, leaving five people dead and scores injured. The news about the attack reached Chilas with some exaggeration — that it had resulted in the killing of Qazi Nisar Ahmed, a prominent Sunni leader in Gilgit. The response that it generated was brutal to say the least. An irate Sunni mob stopped a convoy of 25 buses coming from Rawalpindi and segregated their Shia passengers from the rest. At 1:30 pm on April 3, 2012 they stoned 10 of them to death in broad daylight. A similar attack was carried out on August 17 the same year when over a dozen or so Sunni militants stopped four buses travelling from Rawalpindi to Gilgit, separated 19 Shia passengers from around 100 others and shot them dead from point-blank range near Babusar mountain top in Mansehra district. Those involved in these attacks have never been arrested and tried. Khan Sangeen, who is around 70 now, regrets what he did in May 1988. The relaxed setting of his hujra, shaded by tall, green trees and enveloped by a serene, calming quietness, is a whole world away from the deadly clamour of anti-Shia chants that reverberated in Tangir valley three decades ago. “Kafir kafir, Shia kafir. Jo na manay woh bhi kafir” (Shias are infidels and so is the one who has any doubt about it) — these chants rose above trees and echoed across mountains, stirring an unprecedented sectarian mobilisation in the area. Sangeen recalls how a well-armed lashkar – or tribal army – built up after originating from Kohistan and passing through Diamer. The mobilisation was so intense that no one would dare oppose it. Not that anyone in Tangir wanted to do so. Decades of anti-Shia sermons by local religious missionaries had already cultivated grounds for not just cheering on the lashkar but also joining it. Residents of Diamer willingly and generously contributed provisions, arms and men as the lashkar marched onward to attack Shia villages in Gilgit district. Ahmed Hussain was 28 then. He first heard about the lashkar when it was near Chhamugarh — a village 20 kilometres to the south of Gilgit city. People in his own village – Jalalabad, about the same distance from Gilgit city but in the east – knew the lashkar would soon be headed towards them as well. Some of them had worked in security forces and knew how to build crude explosives. They hurriedly put together as many of those homemade bombs as they could. Others collected whatever weapons they could find in the village, mostly old rifles used for hunting, to resist the lashkar. When the invaders came close to Jalalabad, the villagers threw bombs at them and pushed down boulders from a nearby hilltop to block their passage. “The blasts created the impression that we were equipped with heavy ammunition which checked the advance of the attackers for about three days,” recalls Hussain. Unable to make a headway, the lashkar took a detour to an undefended village, Batkor, which overlooks Jalalabad from a hill in the northeast. When Hussain and his fellow villagers saw smoke billowing out of Batkor, they knew their village was going to face the same fate soon. All this while, the villagers received no help or protection from law enforcement agencies. When some policemen did arrive in Jalalabad, they advised its residents to leave for some safe place. So they did and, except some elderly persons, moved to the nearby villages of Oshikhandass and Danyore which were relatively securer due to the presence of a police contingent headed by a deputy inspector general. The invaders, meanwhile, entered an almost empty Jalalabad and burnt down each of its 800 or so houses. Ghulam Mustafa was working as a vehicle mechanic in Skardu city when he heard that the lashkar was moving towards his village, Shuto, in Haramosh valley. He rushed back home, fearing the worst for his family. Around 30 years of age at the time, he saw the lashkar camped at Alam Bridge — that spans over the Indus river and connects Skardu with Gilgit. He also saw the residents of his village waging a losing battle with their old rifles. They soon realised that they had no option but to move to the safety of some other village. When they came back after a month, they saw all their homes destroyed, fruit trees chopped down and cattle killed. Ahmed Mahmood* was a deputy superintendent of police in Gilgit district during the lashkar’s invasion. Accompanied by 20 or so other policemen, he blocked the lashkar’s path at an entrance to Gilgit city for a whole night only to find out in the morning that the invaders had entered the city by another route, burning down the whole village of Sakwar on their way. Mahmood then went to the office of Gilgit’s commissioner and volunteered to go to Jalalabad to save it but he failed to get the go-ahead. By the time the invasion came to an end, 222 people had lost their lives, according to Mahmood. 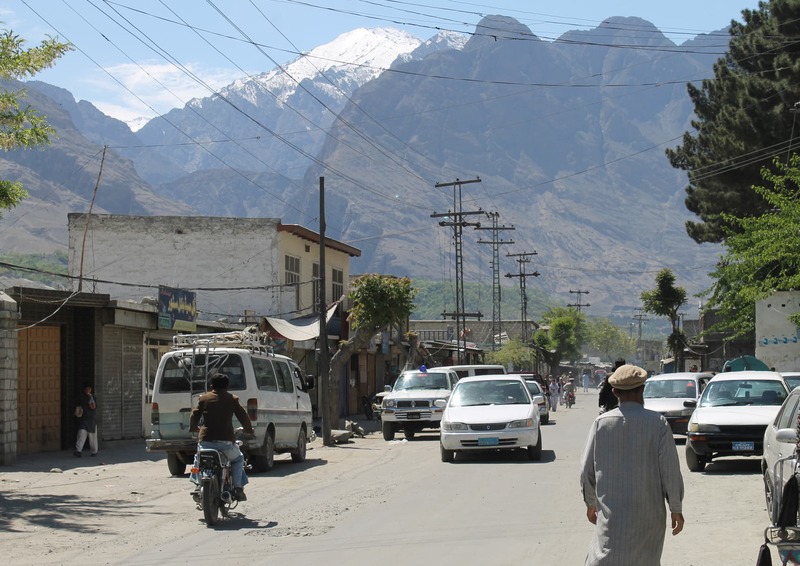 Sher Baz Barcha, a historian in Gilgit city, recalls a meeting convened by the chief secretary (then called administrator), the highest bureaucrat in Gilgit-Baltistan, in his office as the lashkar was running riot in surrounding villages. He remembers how Abdul Khaliq Taj, a Sunni revenue official, stunned the participants of the meeting by accusing the government of conniving with the lashkar. Taj referred to the case of a Sunni resident of Gilgit city who was arrested by the police while he was trying to detonate a bomb at a Sunni mosque in order to instigate violence against Shias. The arrested man was kept in a police station overnight but was allowed to go home the next day. “It is the government that is creating rifts among Shias and Sunnis to advance its vested interests,” Barcha quotes Taj as saying at the meeting. Members of Sunnis organisations in Gilgit-Baltistan may like to disagree. They say the anger that resulted in the lashkar’s invasion had been simmering for long — since 1972 when a Shia religious leader reportedly delivered an objectionable speech in Gilgit city. Local Shias, on the other hand, blame the violence on General Ziaul Haq. They claim he visited Gilgit sometime in early 1988, along with then American ambassador to Pakistan Arnold Lewis Raphel, but faced strong anti-America protests during his stay in the city. The problem with this claim is that no written records back it. 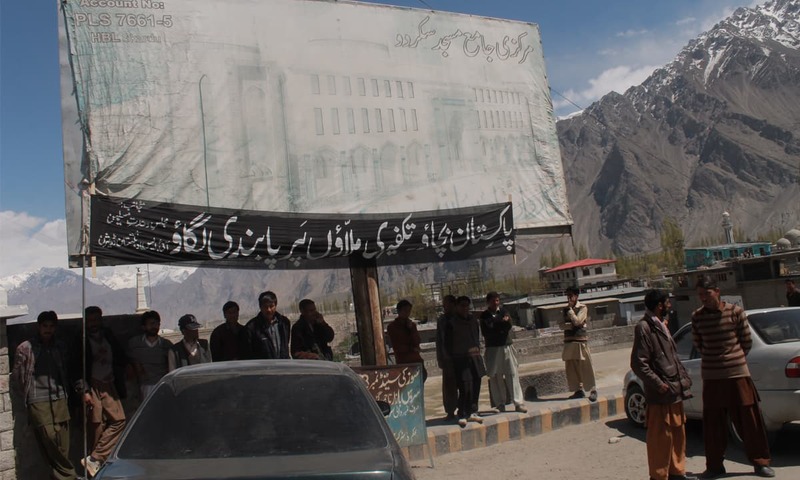 The visit and the protests do not seem to have happened at all though Shias across Gilgit-Baltistan insist that they did take place and cite them as the reason why the lashkar attacked them — as a revenge for their anti-Zia protests. What is more credible is that Shias in Gilgit-Baltistan, like elsewhere in Pakistan, observed Yaumul Quds (a day of protest against Israeli occupation of Baitul Maqdis in Jerusalem, one of the holiest of Muslim sites) on the last Friday of the fasting month of Ramzan that in 1988 fell in the second week of May. These protests usually take an anti-America turn and back then they might have assumed an anti-Zia tone as well because of a close alliance between Pakistan and the United States at the time. There are also reports that a van carrying Shia protesters in Gilgit came under fire in a Sunni-majority neighbourhood as they were returning home from a Yaumul Quds rally. A police officer is said to have been injured in the incident. Hamid Hussain*, a government official in Gilgit, cites a reason that sounds more solid than any other. May 17, 1988, he says, was the last day of Ramzan for the local Sunnis but local Shias were already celebrating Eidul Fitr on that day, marking the end of fasting. Some Shias were seen publicly eating in a Sunni area where fasting was still being observed, says Hussain. “Sunnis opened fire on Shias,” he says, claiming to have seen the whole incident unfold in front of his eyes. As the news of an alleged violation of fasting code by Shias spread across the region, Sunnis became agitated. This might have led to the incursion by the lashkar. Barcha was in 10th grade in 1971 when an irate group of people stormed his school and told students to boycott classes. Then they proceeded to Gilgit bazaar and ransacked a shop run by the sons of a Punjabi military officer. What had angered the mob were reports about the officer’s wife having insulted a school headmistress over her daughters’ failure to pass an examination. The headmistress, not only a Sunni but also a non-local, approached a local elder, Johar Ali, who happened to be a Shia, and said she could not continue her job under an abusive environment. Soon, a whole mob gathered to avenge her mistreatment. This incident of a bi-sectarian cooperation against a military force that mainly comes from Punjab, says Barcha, could have led to the imposition of a divide-and-rule policy in Gilgit-Baltistan. Shams Mir, information adviser to the Gilgit-Baltistan chief minister, broadly agrees with this assessment. He says poor law and order in the region is the result of a “need to keep it in the grip of violence”. He does not elaborate who has that “need” and to what end. Sahib Khan, who recently retired as a chief judge (chief justice) of the Gilgit-Baltistan Chief Court, also tells a story of amity between Shias and Sunnis in the region — that too during the Sunni lashkar’s invasion of a Shia village. He was a member of the Northern Areas Council, the highest official advisory body in Gilgit-Baltistan, in May 1988. When he heard about the lashkar having set some Shia houses on fire in Bunji village in his native Astore district – a Sunni-dominated area lying between Gilgit and Diamer – he instantly decided to do something to avoid further damage. He convened a meeting of leading Shia and Sunni leaders at the office of the local assistant commissioner. After thorough deliberations, the participants of the meeting reached a six-point agreement. The crux of the accord was that both Shias and Sunnis will protect their area jointly if the lashkar resorted to attacking the Shia community of Astore. As Colonel John Biddulph, an officer in the government of British-ruled India, wrote in his 1880 book, Tribes of the Hindoo Koosh: “The people of Chilas, who were always a less tractable race than their neighbours, make it their boast that, though travellers and traders are safe in their country, no Shiah ever escapes out of their hands.” The Chilasis, he also wrote, “were notorious for the way in which they tyrannised over the whole surrounding country, making frequent raids, plundering and carrying off men, women, and children into slavery”. The newly established Pakistani government addressed these problems by imposing a draconian law, the Frontier Crimes Regulations (FCR), in 1949 in the areas that now form Gilgit-Baltistan. The regulations provided for punishing a whole tribe for any crime committed by any of its individual members. This oppressive administrative regime forced the tribes of Chilas to curtail what was seen as their natural propensity towards plunder and violence. The FCR remained in force till 1972 and is believed to be a major reason why there had been no Sunni-Shia clashes in the region for almost two decades. It was the abolition of the FCR and the introduction of loudspeakers at places of worship that, according to Barcha, revived sectarian antagonism in Gilgit-Baltistan. The first sign of a remerging Sunni-Shia divide in Gilgit-Baltistan appeared in 1973 when a team of wrestlers from down country visited Gilgit city. “One of the visiting wrestlers was Shia. When he got into a dominating position, Shia spectators would cheer him on raising sectarian chants. Sunnis would raise full-throated slogans when the wrestler was beaten by a Sunni opponent,” Barcha says. Another important development around the same time came in the form of improvement in travel and communication facilities that allowed thousands of people from the region to go for Hajj to Saudi Arabia and to Shia holy sites in Iran and Iraq every year. Pilgrims from each sect brought back with them radical religious ideologies of a Wahabi Saudi Arabia and a Shia Iran, Barcha remarks. In related changes, a mullah-led Islamic revolution deposed an America-supported king in Iran in 1979 and a holy war in Afghanistan started in the same year, with weapons, money and ideological direction coming from Saudi Arabia and the United States and military training and logistical support from Pakistan. The members of the two sects had clear sides to pick in these regional and international conflicts and replicate those fault lines locally. Relations across the sectarian divide consequently stiffened in the coming years. If you were a Sunni, you not just hated Shias but also opposed anything perceived as diluting your sectarian identity. If you were a Shia, you not only retaliated against any physical and ideological attacks on your community but also highlighted the markers of your sectarian identity. A public explosion of this intensifying division was always waiting to happen. It did — first in 1988 and then in January 2005 when a prominent Shia leader, Agha Ziauddin Rizvi, was gunned down in Gilgit city. Shia-Sunni clashes that followed his murder claimed at least 15 lives. On an early September day, a military official stands guard at a bridge between Darel valley and Kohistan district. He is part of a military contingent recently deployed to monitor the movement of people going into and coming out of the valley in the wake of arson attacks on local schools. Anyone requiring to get into Darel must go through a detailed checking. Outsiders are additionally required to deposit their identity cards at a checkpoint. The cards are returned at the time of their departure from the valley. These restrictions have created an artificial quietude in the valley — without addressing the underlying causes of religious extremism and violence here. At the grass-roots level, social and religious attitudes remain as rigid as they have always been. Maulvi Iskandar, a religious leader in Darel, for instance, refuses to see anyone who shaves his facial hair. “He did not offer the funeral prayer of his own nephew because the dead man did not have a beard,” says a chain-smoking Hafeezullah, a thirty-something slim man with a stubble. He also happens to be Iskandar’s nephew. Iskandar’s name also appears on the government-prepared lists of suspects of the school attacks. He duly surrendered to the authorities but was freed after an appearance in front of the joint investigation team. Iskandar is also known to have sponsored and supported militant training camps in the area. Hafeezullah remembers how a thirty-something mysterious man with a thick beard would visit his uncle frequently in the 1990s. Tall and well-built, the man always carried an AK-47 rifle that he would put away only when he offered his prayers. He had long locks that touched his shoulders and his red eyes suggested a rage burning deep inside him. He seemed to belong to Punjab though no one in Darel really knew where he came from. Everyone addressed him as Shah Sahib. It was Maulvi Shahzada Khan who first brought Shah Sahib to Tangir in the early 1990s but the two fell out soon and Shah Sahib later set up his own training camp in Darel. A year later, he had to vacate that camp too because local residents did not approve of his strict edicts against the appearance of little girls in public. He disappeared for a while. In 1994, a young man named Binyamin left his home in Darel and joined a militant training camp in Batrasi area in Khyber Pakhtunkhwa’s Mansehra district. (He would surrender years later to the police through the jirga as a suspect for school attacks.) In 1998-99, he came back along with 20 or so other people. Shah Sahib was one of his companions. They soon moved to Utt area in the northern part of Tangir valley. A few months later, Shah Sahib and Binyamin came down to a village, Jole, where they established a militant training camp. The locals called Shah Sahib a ‘mujahid’ and accorded him a lot of respect. 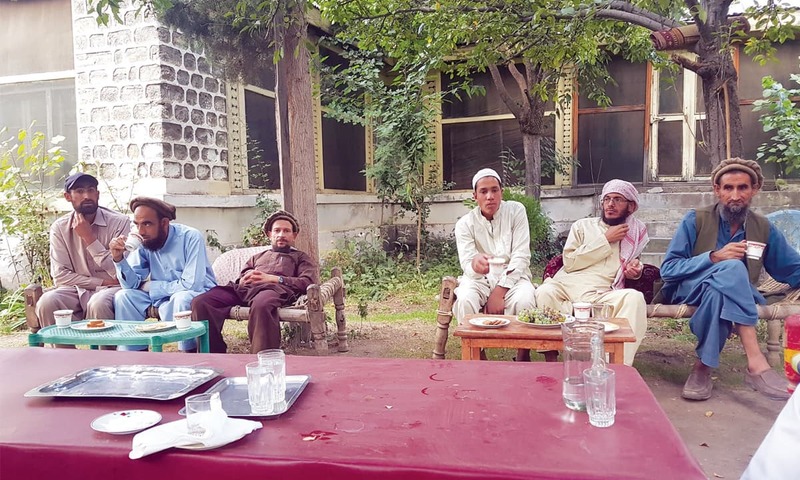 “People in his training camp were Punjabis, Pakhtuns and residents of Gilgit,” says Farooq Azam*, a member of the local jirga in Tangir who once worked closely with Shah Sahib. Shah Sahib got into another dispute in 2001 with Maulvi Abdur Rahmat, a member of the district council from Darel and a brother of Maulvi Iskander. The two brothers complained to Qazi Nisar Ahmed, a senior leader of Tanzeem Ahl-e-Sunnat Wal Jamaat, a Sunni sectarian organisation in Gilgit. Ahmed visited Darel to stress upon Shah Sahib that he needed the help of local tribal elders and religious leaders in order to run his camp but to no avail. This put off Ahmed so much that he withdrew his support for Shah Sahab’s training camp. He told his disciples, who formed a vast majority of trainees at the camp, to go back to Gilgit. Their departure led to the closure of the camp. Nobody knows where Shah Sahib went afterwards. Shah Faisal, a leading suspect for the school attacks who remains at large, and Khalilur Rahman (who died in a clash with the police in Gilgit district) were both trained in militancy at Shah Sahib’s camp. The latter continued providing military training to local youth in Darel till 2004, though in a rather informal way. He would gather around 25 young boys in a football ground in Phoguch village and make them go through physical exercises and military manoeuvers with wooden rifles. A police patrol, led by a deputy superintendent of police, Attaullah, came under fire from the occupants of a van he had asked to stop in Tangir valley on March 29, 2013. Attaullah and one of his guards died on the spot. Similarly, a convoy carrying some security officials in Chilas came under attack on August 7 that year. Two army officials, Colonel Ghulam Mustafa and Captain Ashfaq Aziz, and a superintendent of police, Hilal Ahmed, were killed in the attack. The three were investigating the killing of nine foreign mountaineers and their local guide on June 23, 2013 at Nanga Parbat’s base camp. The slain mountaineers included five Ukrainians, three Chinese and a Russian. Khalilur Rahman was said to have been involved in killing both the mountaineers and the security officials. Muhammad Naveed, who was working as a superintendent of police in Diamer district at the time, hinted at a nexus between militants such as Khalilur Rahman and those suspected to be involved in anti-Shia violence. He said in an interview with this magazine that the “same group” that was involved in attacks on Shias in Kohistan and Chilas also carried out the killing of the mountaineers and the security officials. None of these incidents has led to a serious, concerted action against extremism and terrorist violence in Diamer. The state does not appear willing to operate against violent elements without a nod from local tribal elders who, equally inspired by religious zeal, often broker a deal that benefits the miscreants. All this has been quite evident in the wake of a recent criminal incident. In April 2015, militants associated with the same group that has been involved in anti-Shia, anti-state and anti-foreigner violence kidnapped two engineers working with the army-run Special Communication Organisation at the southern entrance to Tangir valley. The kidnappers took their captives into the mountains up north in the valley. After failing to secure their release through other means, the government asked a local jirga to intervene. The militants subsequently released the engineers but only after receiving assurance from the jirga that no action would be taken against them. The surrender and investigation of those suspected of involvement in school attacks is similarly underwritten by tribal elders. The suspects enjoy a certain degree of immunity from trials since the government cannot take any action against them unless members of the jirga facilitate their surrender to the police. On my way to Phoguch village where Dareli lives, I keep wondering about DSF. Could it be the Democratic Student Federation, a leftist organisation that was active on college and university campuses in the 1950s and 1960s? How does a leftist organisation have a local representative in the conservative, religious and tribal society of Darel? Dareli clears the confusion when we meet: “It is Darel Student Federation.” But its agenda is as progressive as that of any leftist entity: it wants to promote education in Darel — education among girls, more specifically. Clean-shaven Dareli set up DSF when he was studying in Karachi after having done his matriculation from Gumari, the main town of Darel, in 2008. Initially, the organisation aimed at providing financial support to the poor residents of Darel living in Karachi. After Dareli completed his education in Karachi, with a masters degree in mass communication in 2013, and came back home, he decided to hold a sports festival in Utt. For four consecutive years, between 2014 and 2017, the festival was held successfully around Independence Day in August, showcasing sports such as cricket and polo and cultural activities such as music. The festival did not take place this year. The arson attacks on schools left little reason for revelry and celebration. The attacks also threatened Dareli’s efforts to promote education among local girls. In 2015, he and his DSF associates had convinced many religious leaders of their area that giving education to girls was not against Islamic precepts. The same year, with financial support from the Central Asia Institute Gilgit, a Gilgit-based non-governmental organisation, they set up a primary school for girls in Phoguch. The school did not become immediately functional, though, because there were no female teachers to teach there. A local religious leader resolved the problem by issuing a decree that girls could get education from male teachers up to class eight. As of now, 210 girls study in three primary schools funded by the Central Asia Institute Gilgit in three different villages. Whether this number goes up or down depends entirely upon how the state and society tackle the twin issues of religious extremism and violent terrorism in Darel — as well as in the whole of Diamer. This article was published in the Herald's October 2018 issue. To read more subscribe to the Herald in print.